We have to get serious this month and talk about tax rules and the new Modelo 179 which is now a requirement for all ‘intermediaries’ working in the Tourist/Holiday let sector. The deadline for submitting the new Modelo 179 was 31st January 2019, under which third parties and intermediaries (such as rental websites and agents) were obliged to declare rental earnings by property owner on the new form. As a result of these rules, many people have been receiving request from websites such as Homeaway, AirBnb for rental information & income, and YES you do have to provide this. Property Owner name, NIE and full address of the property. The Catastral (land registry) reference for the property. Start date of each booking. 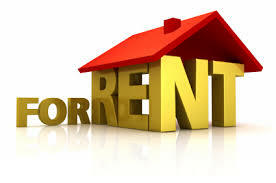 Number of nights booked and the total gross rental income paid to the owner. Additional details can be added, such as the booking contract reference and how the client chose to pay for the booking, but this extra information is optional. These will be the deadlines for your Property Agents/Web Portals to complete and submit the Modelo 179, so they will request this information off you BEFORE these dates. The EXCEPTION to this is the 2018 exercise, as the Modelo was only introduced in June of 2018, so all agents had until 31st January 2019 to submit the data covering ALL of the financial year 2018. As the Property Owner, your declaration of the rental income received via your Asesor should obviously match the declaration that your Agent provides on the Modelo 179. Remember that the Booking Agent HAS to provide this information by law to the Hacienda under the new rules, so from this point onwards it makes sense to get registered, get legal and avoid any problems!! Even if you failed to declare income so far, now is the time to get things straight. Moving forward, it is MUCH better to register, declare and pay your taxes than to risk fines for both illegal renting AND tax evasion. Many people find that by the time they have offset all the legal expenditure against their rental income they do not pay more tax than they did before they declared, as many expenses are allowable when the property is let, such as: water, electricity bills, some maintenance and repairs, mortgage interest and agent commissions & cleaning/pool cleaning; as long as you have legal facturas for the costs. As ever, if you have any doubt or questions, get in touch by email and I will do my best to answer your questions. Next month: What to do with my registration if I sell my property? ?